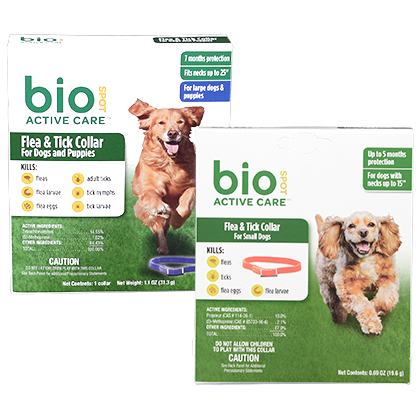 What is Bio Spot Active Care Flea & Tick Collar For Dogs? Bio Spot Active Care Flea & Tick Collar for Dogs provides continuous protection against multiple stages of the flea and tick life cycle, even after being temporarily exposed to water. The Bio Spot Active Care Flea & Tick Collar for Small Dogs kills fleas, ticks and flea eggs. It fits dogs with necks up to 15 inches, providing continuous protection for up to 5 months. 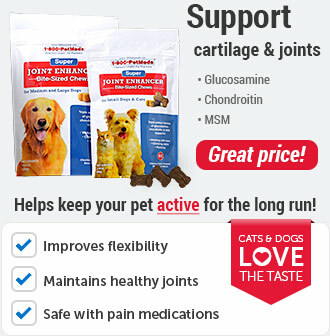 This product should be used for small dogs and puppies 12 weeks old and over. The Bio Spot Active Care Flea & Tick Collar for Large Dogs kills fleas, flea larvae, flea eggs, adult ticks, tick nymphs and tick larvae. It fits dogs with necks up to 25 inches, providing continuous protection for up to 7 months. 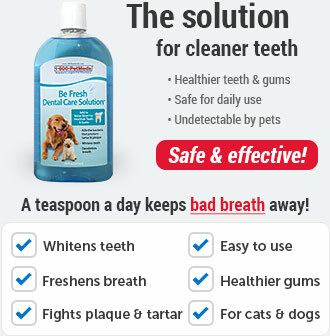 This product should be used for large dogs and puppies 6 weeks old and over. Bio Spot Active Care Flea & Tick Collar for Dogs also contains insect growth regulators which prevent flea eggs from maturing. Bio Spot Active Care Flea & Tick Collar is made in the U.S.A. 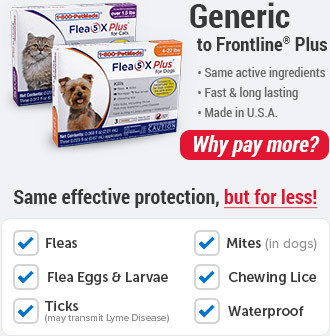 The active ingredient is an insecticide that kills both fleas and ticks. The Bio Spot Active Care Flea & Tick Collar for Collar for Small Dogs works to kill fleas and ticks immediately, providing up to 5 months of protection. The Bio Spot Active Care Flea & Tick Collar for Collar for Large Dogs also works to kill fleas and ticks immediately, providing up to 7 months of protection. Exposure to the main ingredient in Bio Spot Active Care Flea & Tick Collar for Collar for Small Dogs, propoxur, may create a health risk to pet owners, most notably young children. Bio Spot Active Care Flea and Tick Collar For Large Dogs contains tetrachlorvinphos (an organophosphate), a cholinesterase inhibitor. Cholinergic symptoms may include salivation, miosis, incoordination, muscle fasciculation and/or weakness, vomiting and diarrhea. Do not get powder from collar in eyes, on skin or on clothing. When applying collar, it's best to use rubber gloves. And wash hands, arms, face and any clothing thoroughly with soap and hot water afterwards, in case of contamination. Harmful if swallowed or absorbed through skin. DO NOT ALLOW CHILDREN TO PLAY WITH THIS COLLAR. Bio Spot Active Care Flea and Tick Collar for Small Dogs kills fleas, ticks, flea eggs and flea larvae for up to 5 months. Bio Spot Active Care Flea and Tick Collar for Large Dogs kills fleas, flea larvae, flea eggs, adult ticks, tick nymphs and tick larvae for up to 7 months. Bio Spot Active Care Flea and Tick Collar For Small Dogs and Puppies 12 weeks of age and older is a non-prescription (OTC) product, available for small dogs with necks up to 15 inches. Bio Spot Active Care Flea and Tick Collar For Large Dogs and Puppies 6 weeks of age and older is a non-prescription (OTC) product, available for large dogs with necks up to 25 inches. Buckle collar around dog's/puppy's neck. Collar should fit snug enough to prevent placement of dog's/puppy's leg or lower jaw through the collar, yet loose enough to be rotated about the neck. Leave 1 or 2 extra inches on the length of the collar for adjustment, cut off excess and dispose of in trash. Check periodically and adjust fit if necessary, especially when puppies are rapidly growing. Replace Bio Spot Active Care Flea and Tick Collar for Small Dogs in 5 months or sooner if needed, for continuous protection from adult fleas, ticks, and flea eggs. Replace Bio Spot Active Care Flea and Tick Collar for Large Dogs in 7 months or sooner if needed, for continuous protection from fleas, flea larvae, flea eggs, adult ticks, tick nymphs and tick larvae. Collar does not need replacement if dog/puppy becomes temporarily wet. When collar is first worn, observe neck area every few days for irritation. Remove collar at first sign of irritation or adverse reaction. Sensitivities may occur after using ANY pesticide product for pets. If signs of sensitivity occur, remove collar and bathe your dog/puppy with mild soap and rinse with large amounts of water. Read entire label before each use. 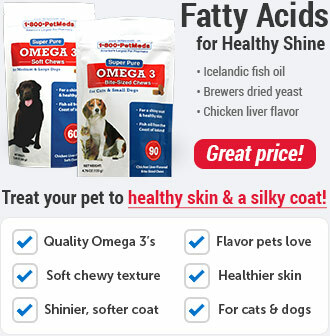 Consult a veterinarian before using this product on debilitated, aged, medicated, pregnant, or nursing animals. 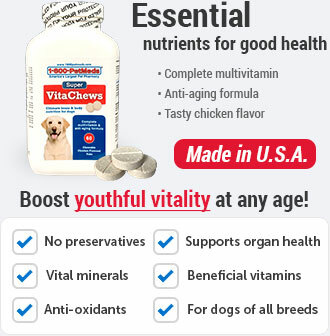 Do not use on dogs/puppies less than 12 weeks of age. Do not use Bio Spot Active Care Flea and Tick Collar For Small Dogs on dogs/puppies simultaneously or within 30 days before or after treatment with or exposure to cholinesterase inhibiting drugs or pesticides (e.g., tetrachlorvinphos). Bio Spot Active Care Flea and Tick Collar For Large Dogs contains tetrachlorvinphos (an organophosphate) which is a cholinesterase inhibitor. Cholinergic symptoms may include salivation, miosis, incoordination, muscle fasciculation and/or weakness, vomiting and diarrhea. Atropine is antidotal. 2-PAM may be effective as an adjunct to atropine. Call 800-234-2269 or your local Poison Control Center for further information. Do not use Bio Spot Active Care Flea and Tick Collar For Large Dogs on animals simultaneously or within 30 days before or after treatment with or exposure to cholinesterase inhibiting drugs, pesticides or similar chemicals. However, flea and tick collars may be immediately replaced with new collars. For humans, Do not open package until ready to use. Do not allow children to play with collar. Pesticidal dust will form on this collar during storage. Wash hands thoroughly with soap and water after handling collar. Do not get dust or collar in mouth. Harmful if swallowed or absorbed through skin. Avoid contact with skin, eyes, or clothing. NOTICE: Bio Spot Active Care Flea and Tick Collar For Small Dogs contains propoxur, a chemical known to the State of California to cause cancer. Call a veterinarian or veterinary emergency room. Store in original unopened package away from children. Dispose of in trash. If collar is temporarily removed, wrap in paper or plastic; do not allow children to have access to collar. Keep out of the reach of children and pets. Buckle the collar around your dog's neck. The collar should fit snug enough to prevent dog's leg or jaw from getting caught in the collar. Leave 1-2 extra inches on the length of the collar for adjustment, cut off excess and dispose in trash. 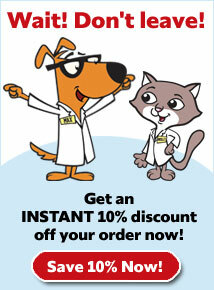 Bio Spot Active Care Flea and Tick Collars for Small Dogs should be replaced every 5 months or sooner if needed. Bio Spot Active Care Flea and Tick Collars for Large Dogs should be replaced every 7 months or sooner if needed. Wash hands after placing collar on pet. Check collar periodically to see if collar needs adjusting. Replace collar in 5 months or sooner if needed for continuous protection from adult fleas, ticks and flea eggs. Replace collar in 7 months or sooner if needed for continuous protection from fleas, flea larvae, flea eggs, adult ticks, tick nymphs and tick larvae. Store unopened collar in a cool dry place. Dispose of empty pouch and expired collar in the trash. Exposure to the main ingredient in Bio Spot Active Care Flea & Tick Collar for Small Dogs, propoxur, may create a health risk to pet owners, most notably young children. Do not get in eyes, on skin, or on clothing. When applying collar, it's best to use rubber gloves. And wash hands, arms, and face, and any clothing thoroughly with soap and hot water afterwards, in case of contamination. Harmful if swallowed or absorbed through skin. DO NOT ALLOW CHILDREN TO PLAY WITH THIS COLLAR.